Nevertheless there was among them a certain sacrament, namely, circumcision, conferring the same remedy against sin which baptism now does. Thus Augustine says: ‘From the time that circumcision was instituted among the people of God it was ‘a seal of the righteousness of faith’ and availed for old and young for the purging of original and former sin; just as baptism began to avail for the restoration of man from the time it was instituted. In these words it is clearly conveyed that through circumcision, from the time of its institution, the remission of original and actual sin for young and old was offered by God, just as now it is given in baptism. To be sure, there is much in the passage cited that Reformed Christians would reject (ex opere operato sacramental efficacy, the nature of sin and grace, limbus patrum, etc.) and yet clearly this passage shows that neither Calvin nor Zwingli had invented the idea that there is significant continuity between the Old Testament sacrament of circumcision and the New Testament sacrament of Baptism. 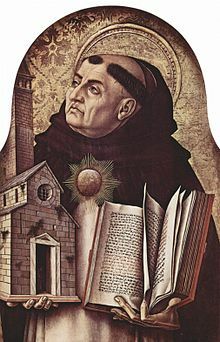 Lombard’s Sentences had already recognized such continuity much earlier in the history of Christian dogma (as had Augustine, Bede the Venerable, and Gregory the Great). The Reformed view that there is, indeed, significant continuity between circumcision and Baptism was not a theological novum when it was articulated by Calvin and the Reformed Scholastics. Rather, it reveals how deeply they were drinking from the wells of historic Christian theology, ancient and medieval. 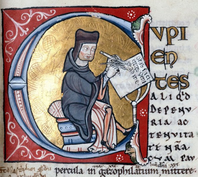 Note that Thomas here cites the same passage in Bede that Peter Lombard cites in his Sentences.